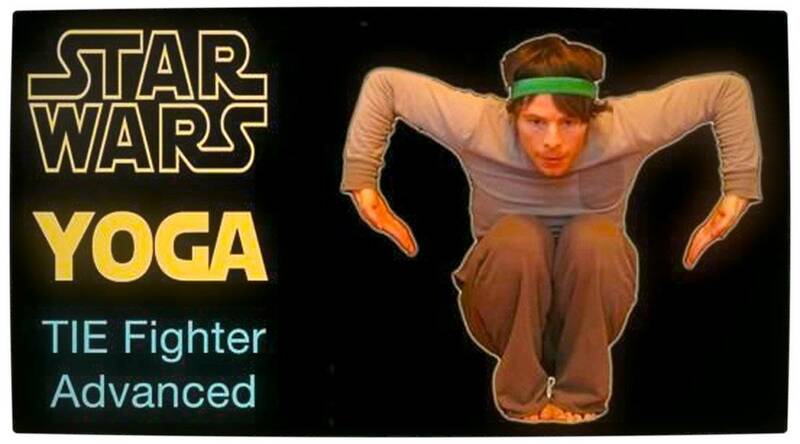 A few friends of mine swear by the benefits of Bikram Yoga. 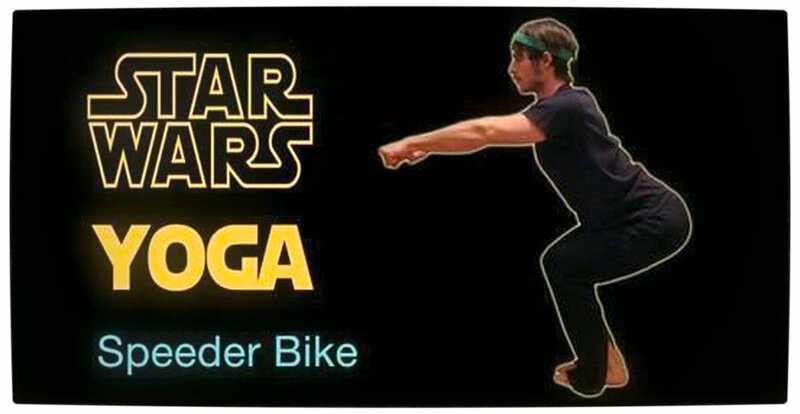 From becoming more supple to losing weight and feeling healthier, it would certainly appear to be a worthwhile activity. 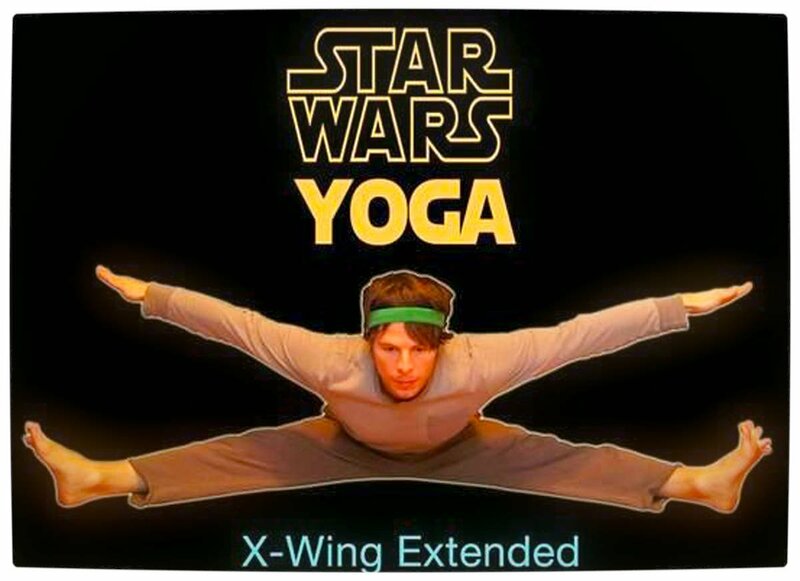 Truthfully, the only thing that appeals to me about yoga would be enhancing my flexibility. 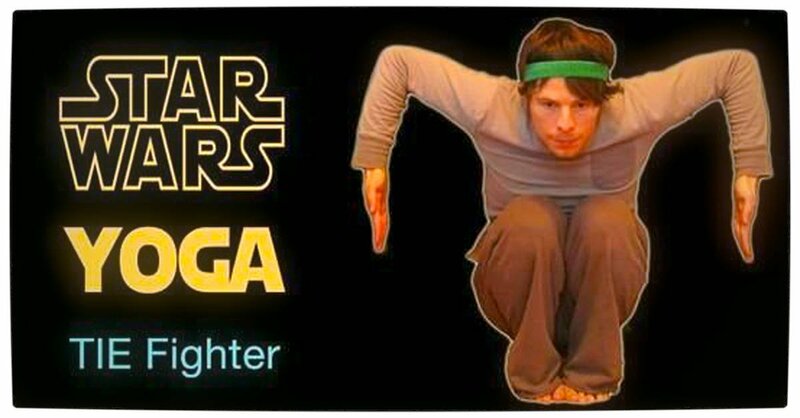 As it stands, I struggle to touch my toes with my hands without bending my knees. 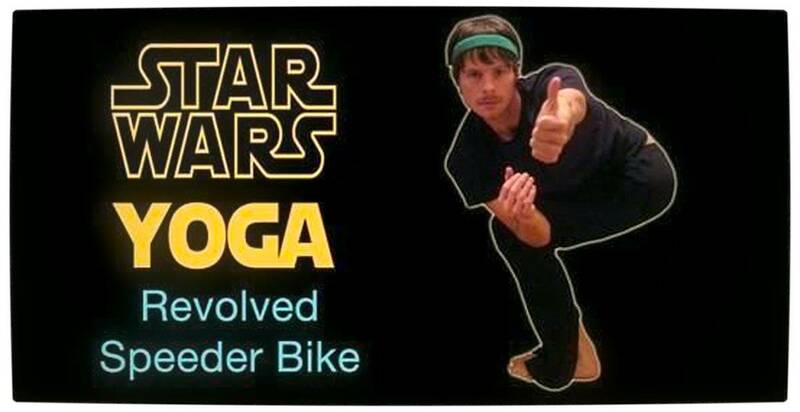 That and the notion of having to move my body into seemingly painful and awkward positions have kept me at bay. 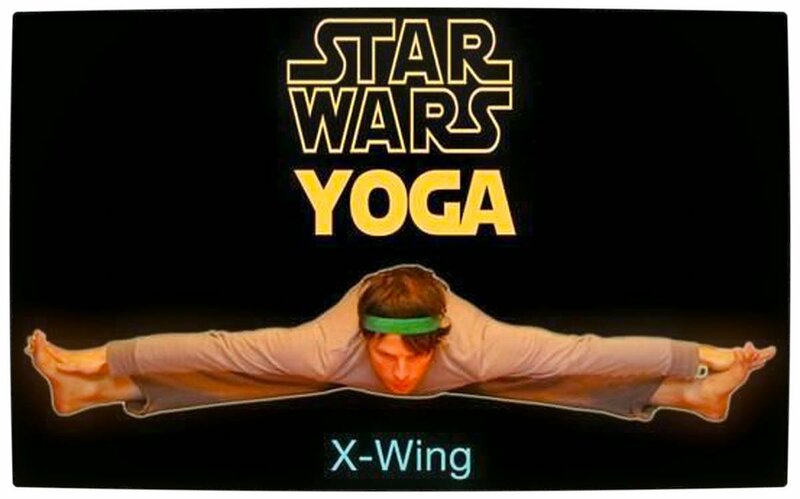 However, my interest in this physical activity has spiked through the advent and discovery of Star Wars Yoga by Matthew Latkiewicz. 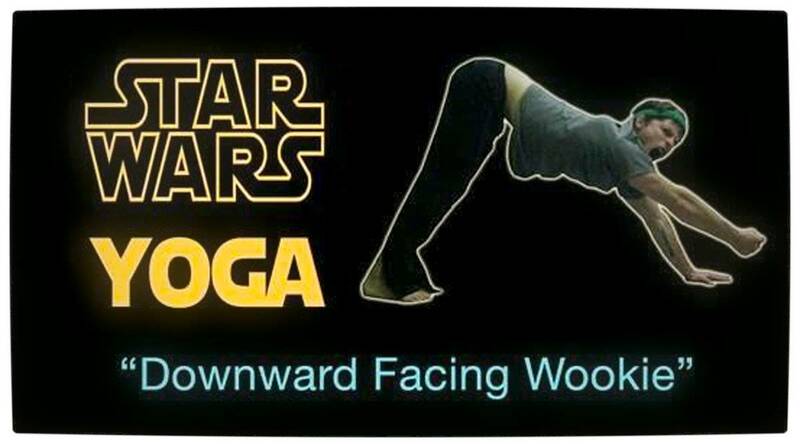 Geek enthused people who practice yoga can now say goodbye to moves like ‘Downward Facing Dog’, ‘Revolved Half moon’ and ‘Reverse Warrior’ and instead say hello to ‘Downward Facing Wookie’, ‘Reclined Jabba’ and ‘Advanced TIE Fighter’. 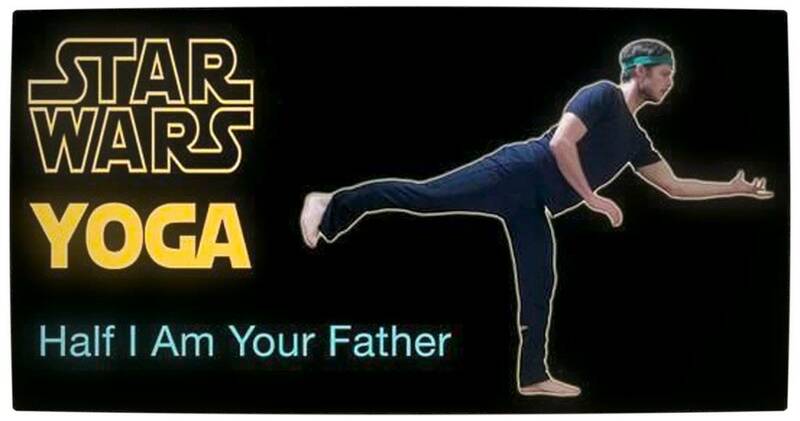 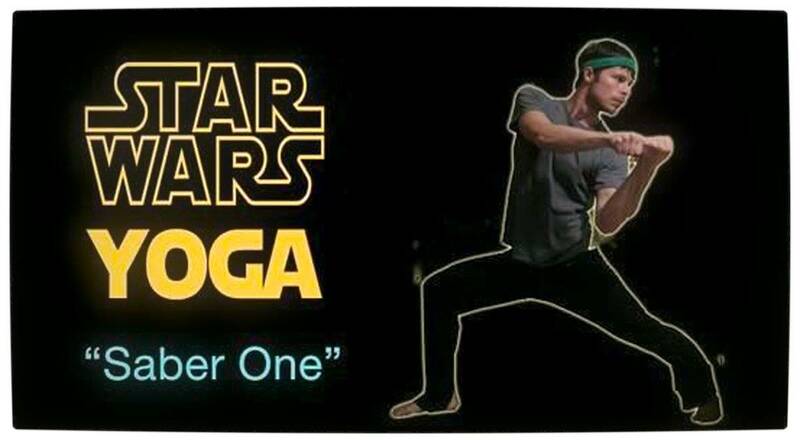 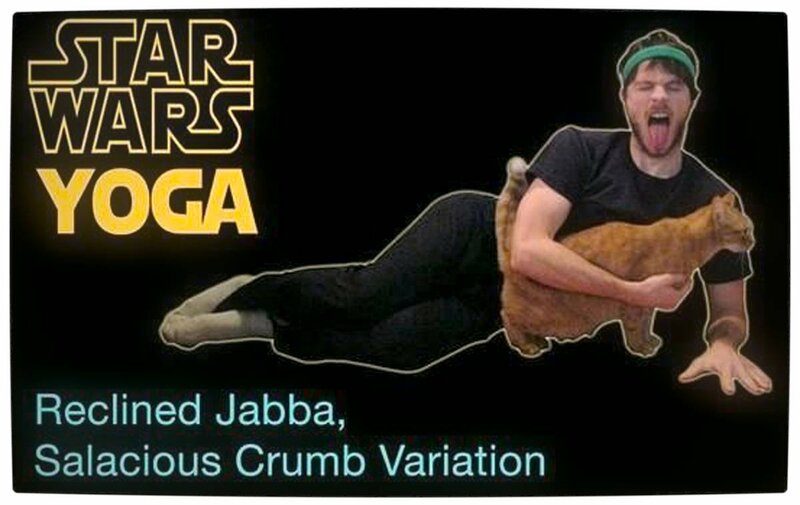 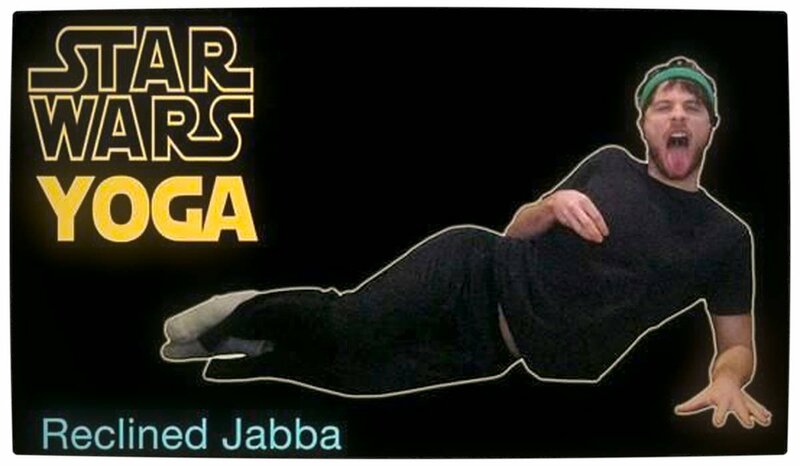 View the Star Wars Yoga video above and gallery below and let us know in the comments if you would try this kind of yoga.